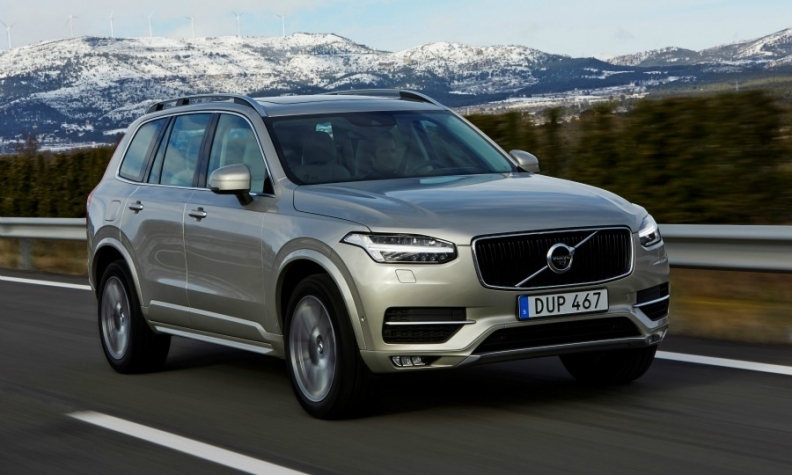 The XC90 continues to be a strong seller for Volvo in the key U.S. market. STOCKHOLM -- Volvo reported an 18 percent rise in sales last month to 64,058, buoyed by strong demand in all regions, particularly the key markets of China and the United States. Six-month registrations rose 14 percent to 317,639, a first-half record. The result puts the automaker "firmly on course" to achieve its best-ever full-year sales, the company said Wednesday in a statement. It would be Volvo's fifth consecutive year of record sales. U.S. sales grew 35 percent last month, helped by demand for the its strong-selling XC60 and XC90 SUVs, while sales in China, Volvo's largest-single market, jumped 16 percent because of brisk sales of the locally produced XC60 and S90. Europe registrations rose 11 percent, helped by sales of the new XC40 SUV, Volvo said. Volvo has warned that the tariff dispute between the U.S. and China could undermine its plans to create up to 4,000 more jobs in the U.S. state of South Carolina, where the automaker opened a new factory last month to localize U.S. production. Parent Zhejiang Geely Holding is reported to be mulling an initial public offering of Volvo, with sources saying Geely had hired investment banks to explore a $16 billion to $30 billion listing this year.